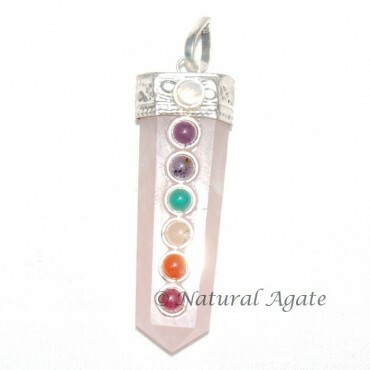 Rose Quartz Chakra Pendant gives you modish appearance. It is a lovely pendant that will bring love and compassion in your life. Chakra stones on the pendant will activate your body chakras. You can get this pendant from Natural Agate.